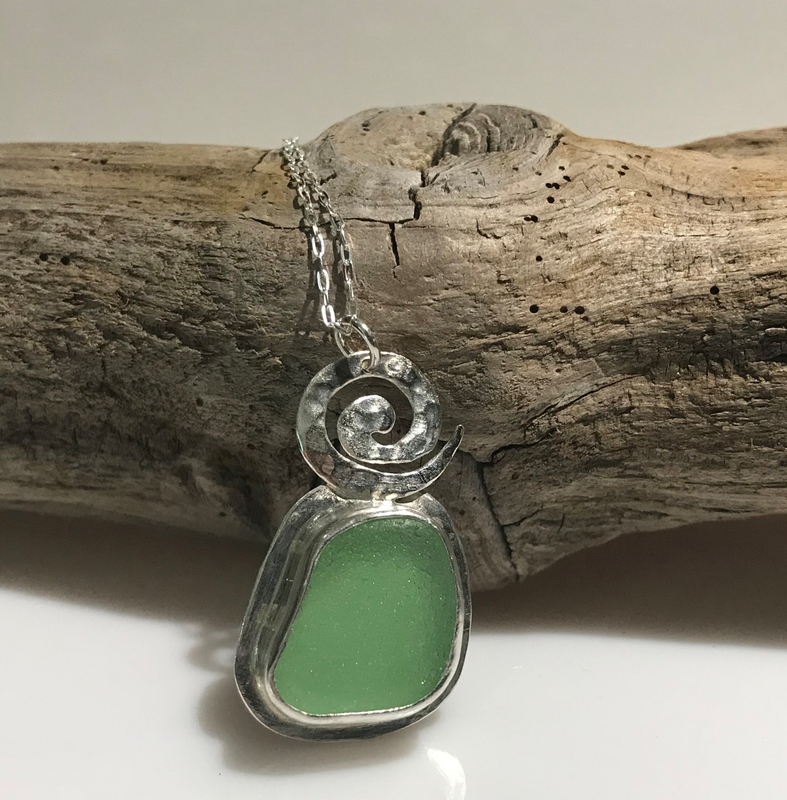 SP #9 Light green sea glass bezel set in fine silver and sterling silver from Puerto Rico. Comes with sterling silver 18" cable chain. Height 1 1/2"